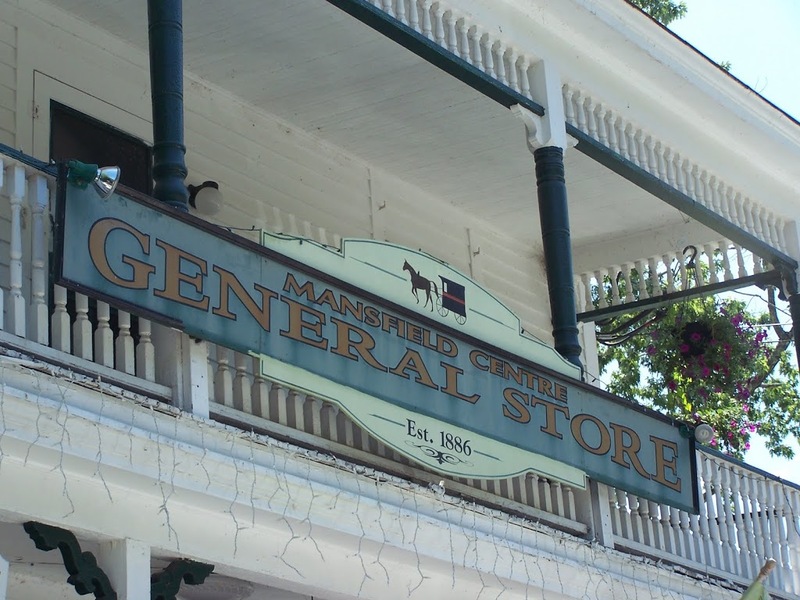 Mansfield General Store – good old fashioned country charm! 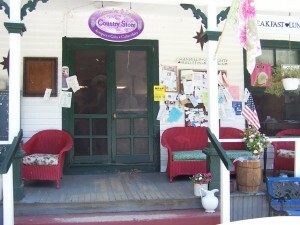 They sure got it right on the business card, because this is the capitol of country charm! 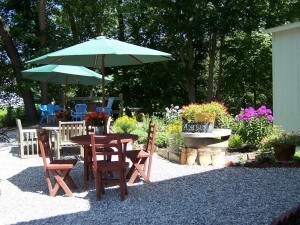 I stop often for a cold drink, a wonderful cranberry chicken salad wrap or a hot cup of coffee. 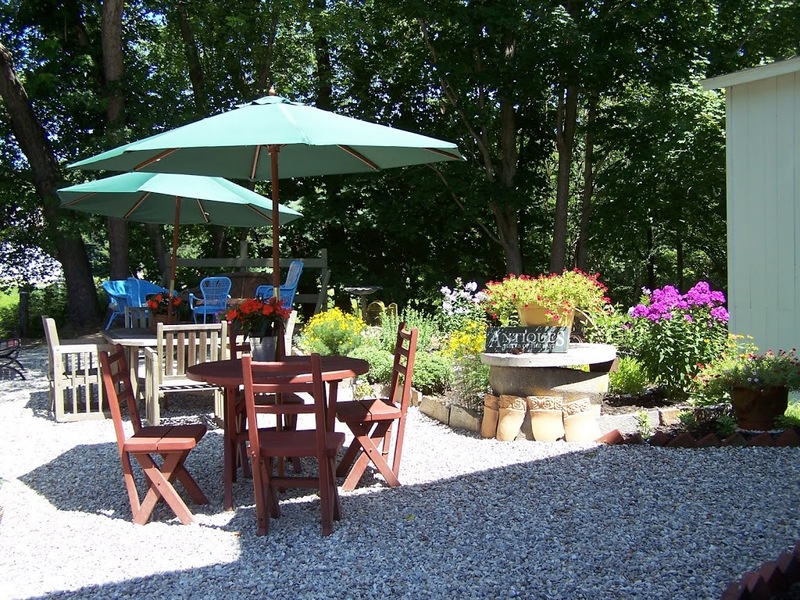 Today I visited with intent to see all the happenings, this summer Saturday found a tag sale of antiques and collectibles, fresh picked flowers and artisan bread baking in the neatest copper covered oven out front. ( see an upcoming post for more on the bread). As you can see the store has served the community at Mansfield Center, CT. and the many who pass through for a long, long time. 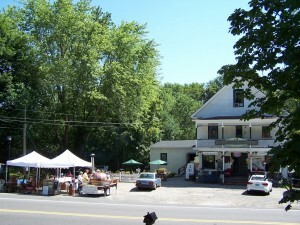 The store is set just a stones throw from the cemetery of colonial stones and the field where the militia drilled for the march to Bunker Hill. 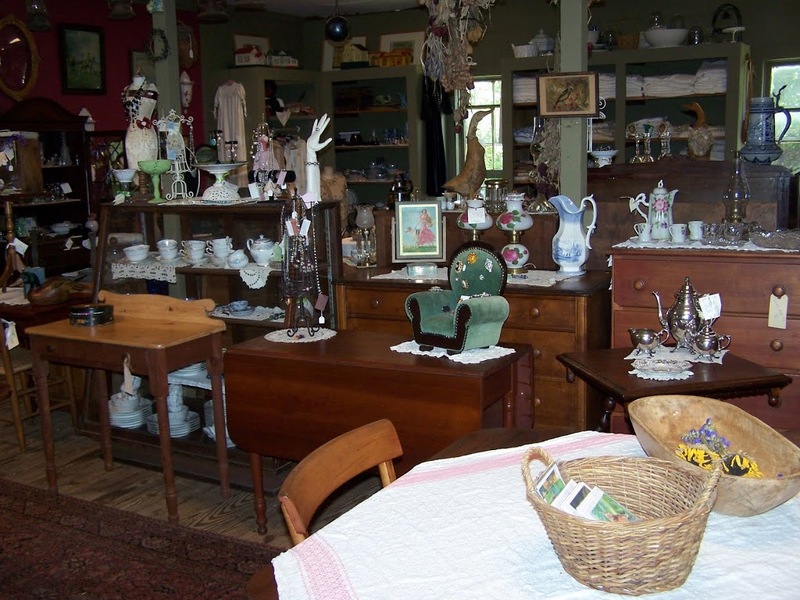 It is right at the intersection of our towns historical past and busy present. On this particular morning the Saturday traffic was whooshing by only to slow at the glint of sun on the copper bread oven and the white tents harboring classic New England collectibles. 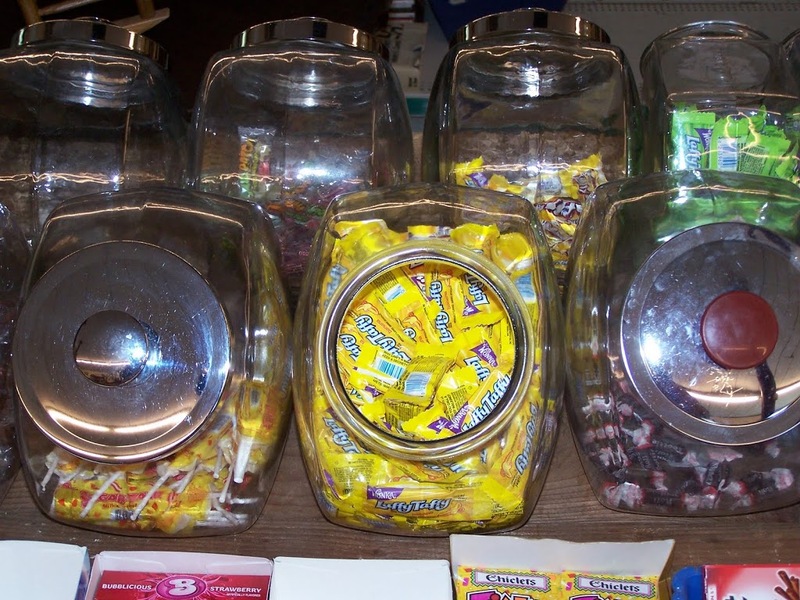 When was the last time a pocketful of change meant reaching into the tin covered candy jars for just the right blend of favorites? 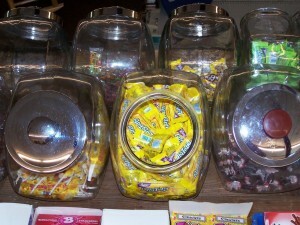 My children learned how to count money buying a few selected pieces of candy from a previous owner. This a a tradition as old as candy itself! What a great lesson for kids to learn, how to be a savvy shopper with a budget of 50 cents. Carolyn Stearns Storyteller hopes you enjoy a visit to the Mansfield General Store, if you find me there maybe I’ll have time to share a story!